We interview authors about their latest research. 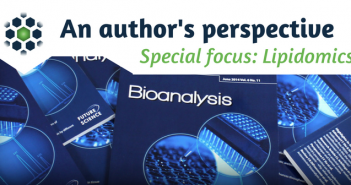 We talk to Vellalore Kakkanaiah about his work using flow cytometry in adoptive cell therapy in this interview as part of our author’s perspective series. 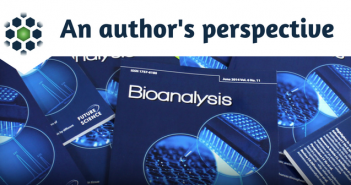 We talk to Laura Rowe about her work using UHPLC to analyse protein glycosylation in this interview as part of our author’s perspective series. We talk to Astrid Gjelstad about her work on parallel artificial liquid membrane extraction of psychoactive analytes for therapeutic drug monitoring in this interview as part of our author’s perspective series. We talk to Maria Myzithras about Optimizing NBE PK/PD assays using the Gyrolab Affinity Software following her latest publication in Bioanalysis. We talk to Germán Augusto Gómez-Ríos about shifting the paradigm of direct sample introduction to MS.
We talk to Panagiotis Vorkas about expanding lipidome coverage using MS/MS-aided untargeted data-independent RP-UPLC-TOF-MSE acquisition.